1. What might happen if you went back in time? Where would you go? What would happen to you? 2. Write about what happens when you find a magic bottle. 3. Write a poem as if you are a character from a book you like. 4. Write a poem as if you can fly. 5. Write a poem as if you are a Hero Dog. 6. Write a poem as if you had three magic wishes. 7. Write a poem about a made-up animal. 8. Write a poem about a dog, a mouse and an elephant (or any three animals you like). What happens? 9. Write a poem as if you have a Super Power. 10. Make up your own poem about a porridge pot that never stops bubbling over in your kitchen. 11. Make up a poem about the worst day of your life (use your imagination). 12. Write a poem about the best day of your life (use your imagination). 13. Retell a myth or legend as a poem but use no more than 20 words. Send to paulajoygreen@gmail.com. Include your name, year, age and name of school. You can include your teacher’s name and email. PLEASE say it’s for the Story-Poem challenge. I will post my favourites and have a book prize for some poets. This entry was posted in Poetry and tagged poetry starting points, poetry tips, story poems on May 12, 2014 by Paula Green. Some starting points for story poems using true stories as a launch pad! Before you start writing the poem try collecting lots of words and details and then only use some of them to make your poem. You can change your story a bit to suit your poem if you like. 2. Can you remember something that happened that made your family laugh? 3. What happened at your favourite birthday? 4. Write about something that happened to you that you will never forget. 5. What has happened to your pet ( I wrote a poem about our cat falling in the blue paint in Macaroni Moon). 6. Write about the time you saw something surprising. 7. Has anything funny or exciting happened to you on holiday? 8. Have you ever got stuck somewhere? 9. Have you ever felt embarrassed when something happened? (Check out my petrol story on The Book Council website!!). 10. Has your Mum or Dad evertold you a story about something that happened to them? This entry was posted in Poetry and tagged poetry starting points, story poems on May 7, 2014 by Paula Green. Here are some starting points for the stomp-poem competition. You can be any age you lie but the prize is for 6 years and under. Try using ‘stomp‘ at the start of every line. Try using ‘stomp‘ at the end of every line. Try using ‘stomp‘ in the middle of every line. Use ‘stomp‘ as the title but NOT in the poem. Use ‘stomp‘ as the last word of the poem and nowhere else. Use ‘stomp‘ where you like in the poem. Make a word pattern with ‘stomp’. Send your poem to paulajoygreen@gmail.com. Include your name, age, year and name of school. You can include your name of teacher and their address if you like. This entry was posted in Poetry and tagged Poetry competition, poetry starting points on October 21, 2013 by Paula Green. 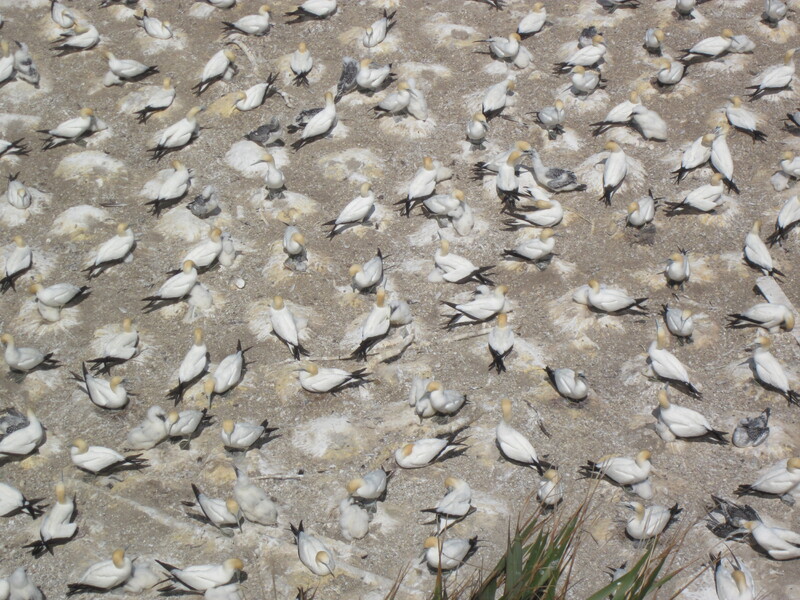 Have you ever seen the gannet colony at Muriwai. It is amazing. You can look right down on the birds squawking and flapping and learning to fly. I like to go every year. This year I will go back and hunt for a poem. Here are some starting points for bird poems. 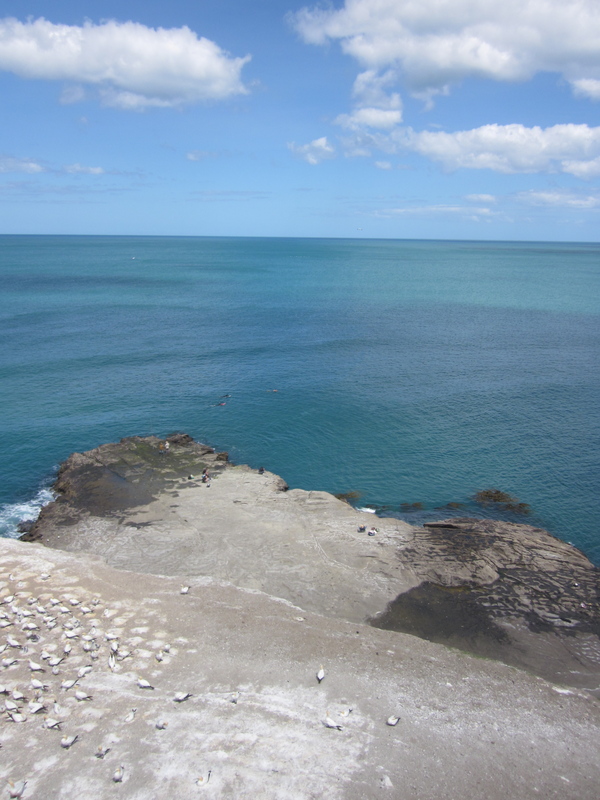 Write about a native NZ bird. Have you seen it? Use your experience to help you write the poem. Write about an exotic bird you have seen somewhere. Imagine you are sending someone a postcard of the bird. Your poem is the postcard. Write a poem about your favourite bird. Write a poem about an unusual bird. Write a poem about the birds that live in your garden. Write a poem about the birds that live at the beach. Write a poem as though you are a particular bird (like a kiwi or a kereru). Write a poem about a bird you have seen at the zoo. Write a poem about an endangered bird. Find a bird poem by someone else. Use the first line of the poem and then make the rest up yourself. Tell me where you borrowed the first line from. Invent a bird and write a poem about it. Use lots of detail (see my tips yesterday). This entry was posted in Poetry and tagged bird poems, poems by childrn, poetry starting points on September 4, 2013 by Paula Green. Story poem tips and starting points …..
1. You don’t have to use lots of words and sentences like you do when you write a story. 2. Your first line is like the beginning (it can have one word or go to the end of the line!). 3. Your last line is like the end of the story. Will it surprise you, make you laugh, be a puzzle, or just tells us what happens at the end of the story? (it can have one word or go to the end of the line). 4. Will you find some words that shine on the line? 5. Before you start your poem, go on the hunt for good verbs (doing words). They will help you tell your story in a poem. 1. Write about something that happened to you that you will always remember. 2. Write about what happens when you find a magic stone. 3. Write a poem as if you are a character from a nursery rhyme. 5. Write a poem as if you are a Hero Cat. 6. Write a poem as if you had two magic wishes. 7. Write a poem about an animal that turns up at your place. 9. Write a poem about a lazy cat and a hardworking chicken. 11. Make up a poem about the worst day of your life (you can use your imagination). 12. Write a poem about the best day of your life (you can use your imagination). This entry was posted in Poetry and tagged poetry starting points, poetry tips, story poems on August 22, 2013 by Paula Green. I am very excited about this challenge. Ask some of these questions to help find the memory for your poem. Did you ever see anything that got in the newspaper or on tv? Did you ever see anyone famous? What was different when you were little? At school or at home? Food? Transport? Toys? After school time? Holidays? Clothes? Did anything funny ever happen to you? Or strange? Or exciting? Or scary? Or kind? Sometimes the best memories are very ordinary. I loved talking to Great Nana about her life as a girl. I think the memories of old people are like little treasures and poems are a great way to keep them safe. Or make a list poem of all the things that were different. Put real things in your poem to make it come alive. Hunt for things you see or hear or smell. You don’t have to fit everything in. Your poem might flow like a conversation. The words might match the way you talk. Your poem might flow like a little story. Find words that shine on the line. Use some of your Nana’s (or Granddad’s) words in the poem. How many words will you put on the line? This entry was posted in Poetry and tagged memory poems, poems by children, poetry starting points, poetry tips on May 28, 2013 by Paula Green. This entry was posted in Poetry and tagged memory poems, poems by children, poetry starting points, poetry tips on May 26, 2013 by Paula Green.